The past few weeks (well, months, really) I’ve been on a crocheting kick. It started mid-December with a long overdue project a student in my choir has been bugging me about for the last 2 years. She has told me over and over again that she would like a hat…. A pointy one. It’s her senior year and her last year in the group, so I figured I would give in to her pleas. 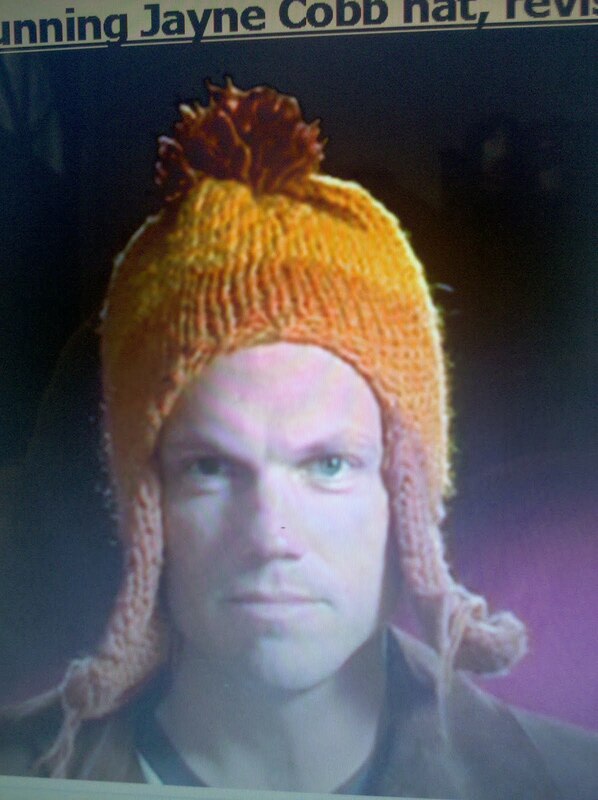 That hat is knitted of course; and alas, I cannot knit at the moment. 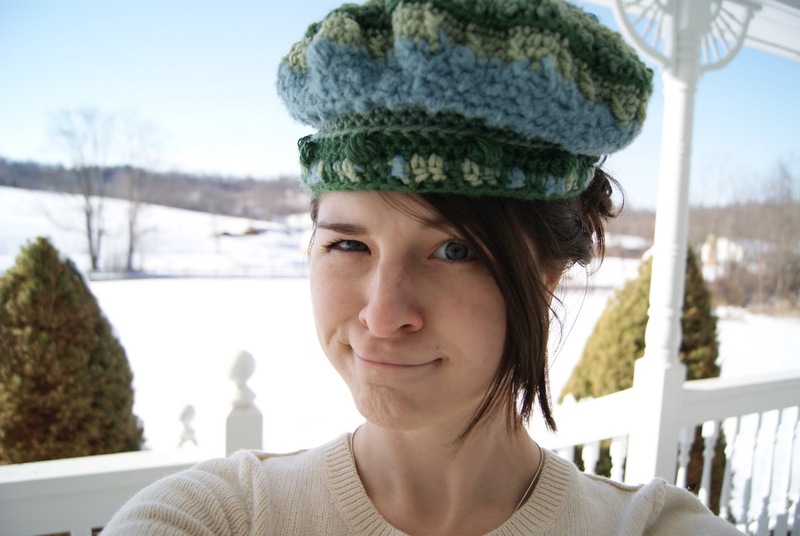 So I compromised and made a hat kinda similar to a knit look with the help of a pattern on the internet that I cannot re-find for the life of me. Last week I was inspired by a lone piece of ribbon and decided to whip up a hat for myself! Yay! The ribbon has some really wonderful blue and green hues and couldn’t get idea out of my head. So, I looked through my stash and found some yarns that would go beautifully with that very lovely ribbon. I was a little nervous at first working with yarns that I’ve never put together before but I think it worked! I started with the middlemost spiral then switched yarns and stitches when needed. It consists of alternating single crochets, double crochets and puff stitches in different rows to get most of the effects. In 6 hours I had a fabulous new hat!!! Now that the basic bit is done I kinda feel like I should add some more things to it. Hmmm… Maybe some more ribbon? Beads? Embroidery? I don’t know. It needs a little something to give it some”pizazz“…..Or maybe I’ll just wear it like this? I really like them, I ndever have the patient to knit. But it looks awesome! You made some peaople very happy. You'll have to try the Glengarry cap. Those are all fantastic – especially the Jayne one! And your hat looks so adorable on you! Now you can find her in any grocery store! Soo I'm in love with this hat. Do you sell your hats?